A teenager has been jailed for 22 years after being found guilty of plotting to behead a British soldier, inspired by the murder of Lee Rigby. 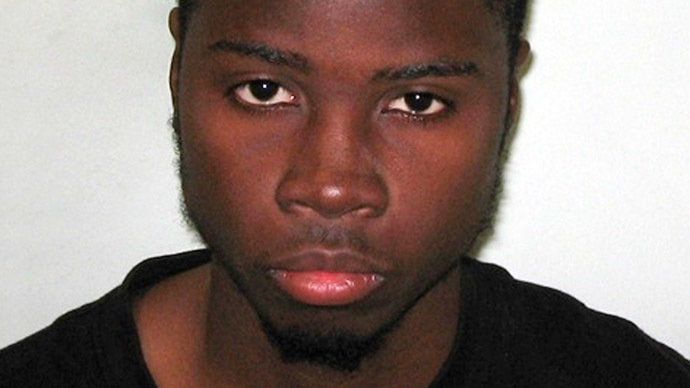 Brusthom Ziamani, 19, from Camberwell, South London, who was 18 at the time of his arrest, planned to kill a soldier. He told police he also wanted to attack Prime Minister David Cameron and fly the black flag of Islamic State over Downing Street. During sentencing, the Old Bailey heard how Ziamani fashioned a plan to decapitate a member of the armed forces, or a government official, and to pose for a trophy shot holding the severed head. After his arrest in London last year, police discovered a 12-inch (30cm) knife and a hammer in his rucksack. The letter also glorified the murder of soldier Lee Rigby, who was killed by Michael Adebolajo and Michael Adebowale outside Woolwich Barracks in May 2013. Ziamani had converted to Islam a year earlier. “It is worrying to say the least that those who groomed him are able to groom and radicalize a young man in such a short period of time,” his lawyer, Naeem Mian, said. “On any view it is a tragic case because this young man will spend a long time in custody after which he will inevitably be unemployable. “Brustholm Ziamani is a highly dangerous individual and this country is significantly safer as a result of this conviction,” said the Crown Prosecution Service’s Deb Walsh. “This case highlights how violent and extreme views on a page can become credible threats to the lives and safety of British citizens.